Life is just about getting back to normal again here, which feels gooooood. This neck warmer is knitted with Rowan Big Yarn onto 10mm needles. It would work on straight needles, or even better, onto DPNs or a 60cm circular needle. I have made a couple of pattern options, which you can see below. Hi! I love your neck warmer and the colours are just great 🙂 would you mind if I included a picture of it (with reference and link to your page) in a blog post I’m preparing? oh WOW! you’ll have to post up some pics as I’d love to see!! sure, as soon as I figure out how to get the mitts right, as I have no proper pattern, just trying to make one up as I go along… 🙂 thanks for the cool pattern & idea! Let me know if you want to amend anything 🙂 thanks! 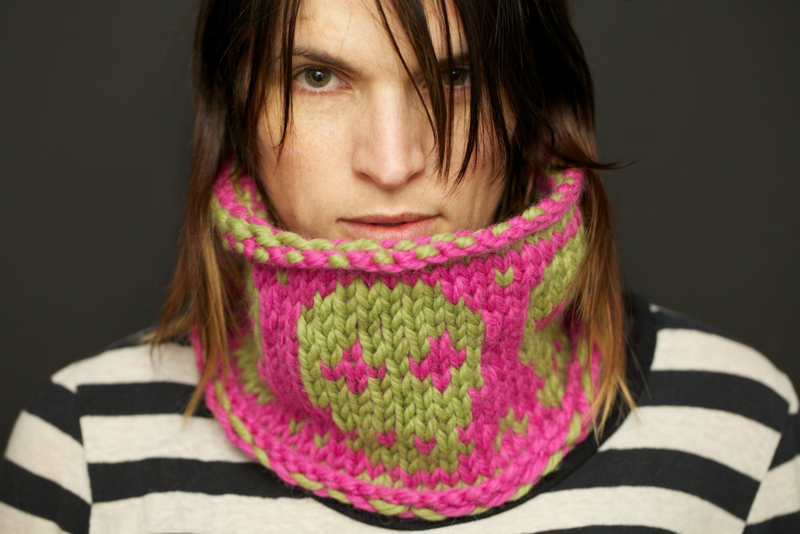 Hi Helen, I just posted some pic of the goth version of your skull neck warmer. Thanks for the design!